Epson's ink has been specifically designed to work with your Epson printer. For the best printing results, make sure you use only genuine Epson printer inks. When you depend on quality printed material you can rely on original Epson ink supplies to give you great results every time. 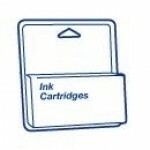 Whatever Epson printer you have, youâ€™ll find the right ink supplies you need for it here.